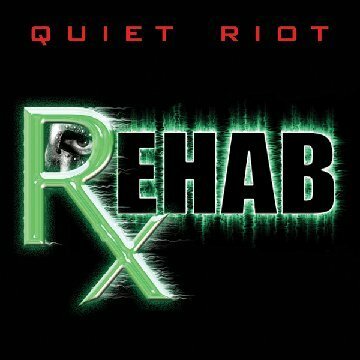 QUIET RIOT are scheduled to release their latest CD titled “REHAB” in October of 2006. For the new recordings Kevin DuBrow (vocals) and Frankie Banali (drums) are joined by Tony Franklin on bass (ex-The Firm and Blue Murder), session guitarist Neil Citron, and the voice of rock, Glenn Hughes (ex-Deep Purple and Black Sabbath) who performed a vocal duet with Kevin DuBrow on the classic 1969 Spooky Tooth song “Evil Woman” and also contributed the bass track for that song as well. “REHAB” will be available throughout the United States and issued through the recently formed independent label Chavis Records (CR) and is expected to be available October 3, 2006. The worldwide release of “REHAB” will be available and issued by UK based Demolition Records in the following territories: Switzerland, Benelux (Netherlands, Belgium and Luxemburg), Russia, Greece, Italy, Hungary, Norway, Iceland, Spain, Portugal, Australia, Poland, Finland, Denmark, France, Sweden, South Africa, Brazil, Argentina, and of course the British Isles with a expected late October 2006 availability. A Japanese release date is soon to be announced. The US release will contain 11 songs, while the European/South American, etc., release will have the same track listing but will also include a additional bonus track. The Japanese release will include a bonus track that is different from the other international releases. 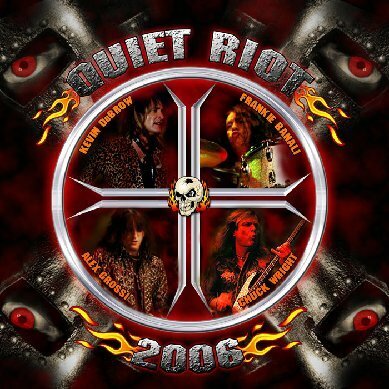 QUIET RIOT have recently reunited with Alex Grossi (guitar) and Chuck Wright (bass) along with original members DuBrow and Banali who continue to tour worldwide in support of the forthcoming Rehab release.